BRAVA economical range of padlocks are ideal for domestic and commercial applications. 25mm br..
BRAVA economical range of padlocks are ideal for domestic and commercial applications. 30mm br..
BRAVA economical range of padlocks are ideal for domestic and commercial applications. 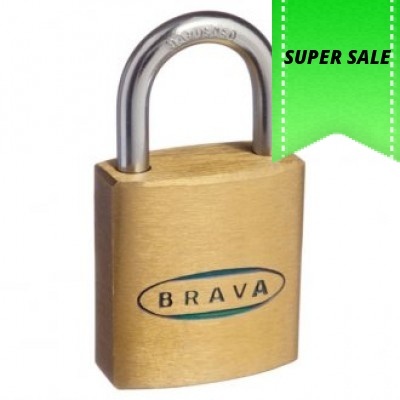 35mm br..
BRAVA economical range of padlocks are ideal for domestic and commercial applications. 40mm br..
BRAVA economical range of padlocks are ideal for domestic and commercial applications. 45mm br..
BRAVA economical range of padlocks are ideal for domestic and commercial applications. 50mm br..